Today's post is the initial contribution from Philip Shaw, Piksel's Senior Technical Architect. Look for more post from Philip over the next few weeks and beyond. There is some amazing TV around at the moment and House of Cards wasn't even the start of it. At the moment we're watching Breaking Bad (we're up to Season 2, Episode 5, so no spoilers please!) and occasionally we catch another episode of The Pacific after getting to the end of the sparkling debut season of Hannibal recently. In the meantime, I watched both seasons of Life on Mars a couple of weeks back and I've just started on Ashes to Ashes. What all these shows have in common, for us at least, is that we're not watching them as they air. Even with Hannibal we watched it a day or so after broadcast. Partly it's because by binge watching we can resolve the end-of-episode cliff hangers immediately. Patience and anticipation can take a back-seat to knowing what happens RIGHT NOW! This was something I first noticed when I discovered The Wire. It was so gripping that I'd start the evening watching an episode and be unable to find an excuse not the watch another, and another (and another). Catching myself at 4am wondering if it was worth starting the Season Finale or getting a couple of hours of sleep. This was on Apple TV where progressing from one episode to the next is just a flick of the controller away; there is really is no reason not keep watching. At least with DVD box-sets you could use the end of a disc as a convenient hiatus. Not so with IP delivered media. Not that I'm complaining. If our recent TV viewing habits are anything to go by, binge consumption of new shows is definitely our preferred viewing mode. And yes, when House of Cards came out, we watched the whole thing in the launch weekend. It was brilliant. Netflix didn't start training audiences to have no patience, they just keyed into it. We'll happily watch older shows, like the ones mentioned above, sometimes well after they air just so that we can have uninterrupted viewing. Plus we get to miss most of the ads too! 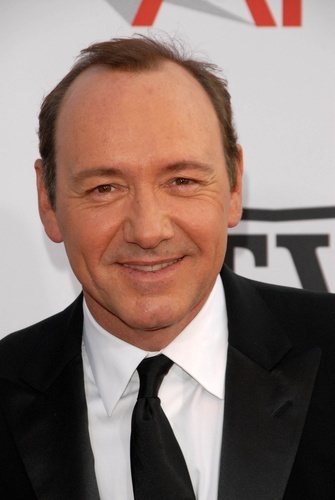 So, Kevin Spacey gets it right here: viewers do want to binge.